World champions “Sir” George Groves and Chris “Next Gen” Eubank Jr., both fighting out of the United Kingdom, will open World Boxing Super Series (WBSS) semifinals-round action in the super middleweight division, this Saturday at Manchester Arena in Manchester United Kingdom. 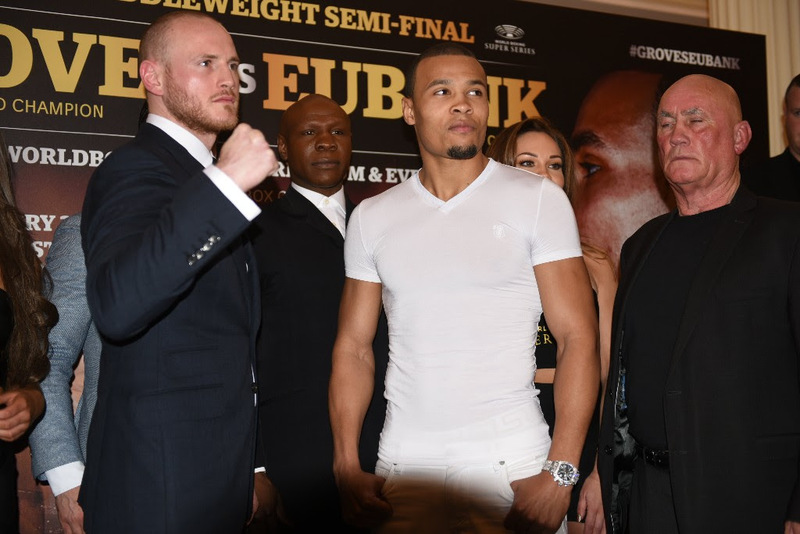 The Groves vs. Eubank Jr card, starting at 2 p.m. ET, will air live in Canada, exclusively on Super Channel. The fight will also be shown in UK on ITV Box Office. The Groves-Eubank Jr. winner will advance to the WBSS championship final against the winner of the other WBSS super middleweight semifinals bout, Feb. 24 in Germany, between Juergen Braehmer (49-3, 35 KOs) and Callum “Mundo” Smith (23-0, 17 KOs). The two semifinals victors will battle for the coveted Muhammad Ali Trophy. Groves (27-3, 20 KOs) knocked out defending champion Fedor Chudinov in the sixth round to capture the World Boxing Association (WBA) super middleweight title last May. In the WBSS quarterfinals, Groves stopped previously undefeated Jaime Cox in the fourth round. All three of Groves’ pro losses have been to world champions, twice to his fellow countryman Carl Froch and Badao Jack. “The hype behind this fight is huge,” Groves said. “I hope the fight justifies it. On paper, this is billed as a 50-50 fight with Eubank Jr. maybe even or being made the favorite. I don’t really understand that. I think the form, the history, the experience, the ability all lie in my favor and I’m looking forward to a big night. It’s a semifinal in a tournament I expect to win, so it’s a stepping stone, another step on the way for me. The son of two-time, two-division world champion Chris Eubank, Eubank Jr. was crowned International Boxing Organization (IBO) super middleweight world champion a year ago, when he knocked out Renold Quinlan in the 10th round. He successfully defended his belt last June, taking a 12-round unanimous decision over three-time, two-division world champion Arthur Abraham (46-5). In the WBSS quarterfinal round, Eubank Jr. stopped Avni Yildirim (16-0) in the third round. “I’ve had many big fights, but this is probably the biggest in terms of profile, the tournament and hype,” Eubank Jr. commented. “But at the end of the day, I always rise to the occasion. The bigger the fight, the better I perform. Four potentially explosive fights, including three title matches, are on the “Groves vs. Eubank, Jr.” card, presented by Sauerland Event, airing exclusively in Canada on Super Channel. Sebastian Eubank and Poland’s Kamil Kulczyk (2-8, 1 KO) and a six-round bout between a pair of British welterweights, Danny Craven (3-1, 1 KO) and Luther Clay (6-1, 3 KOs).